Honors College junior Mizna Kanafani has been nominated for the prestigious Morris K. and Stewart L. Udall Scholarship for Excellence in National Environmental Policy. The Udall Scholarship was established to provide scholarships to outstanding students who demonstrate leadership, public service, and a commitment to environmental issues. Mizna, a Birmingham native, is a junior in Environmental Science. 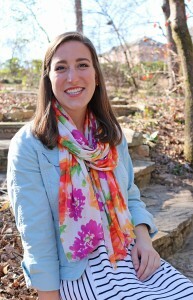 Since enrolling at Auburn in the fall of 2013, she has been involved in number of campus-wide activities including: Director of Freshman Forum – a highly competitive freshman leadership program designed to promote campus leadership in freshmen through individual development as well as team building; College of Agriculture Senator; Director of Auxiliary Services with the SGA Cabinet; Camp War Eagle Counselor; Vice President of Alpha Chi Omega; Sustainability for The Challenge; and Tiger Splasher for Auburn Swimming and Diving. In her role as the College of Agriculture representative to the SGA Senate, Mizna championed a resolution recommending the implementation of composting on campus. Working with her fellow senators, the SGA leadership as well as campus partners such as Dining, Auxiliary Services, Facilities, Waste Management, and the Office of Sustainability, she was able to secure its passage winning unanimous approval. Congratulations and good luck Mizna!